Can't attend? Follow Superhero Me to know of future events! IS ANYONE HOME? 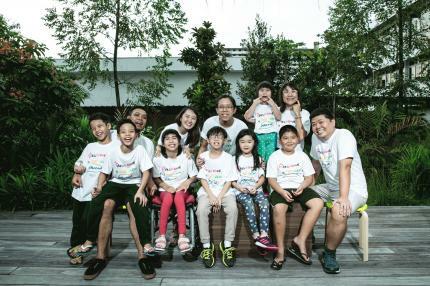 is an exhibition on childhood as part of Singapore Art Week 2018. It features five installations by Superhero Me, an inclusive arts movement that works with children from less privileged and special needs communities. Supported by a team of artists and facilitators, come discover their stories and artwork, which have been playfully weaved into a curious, delightful space and open your mind about the possibilities of childhood. DOUBLE ACE explores the identity of a pair of twin boys Afeeq and Azeeq. Charming with twice the humour, Afeeq and Azeeq have been performing jokes and songs for their mother’s (handphone) camera since they were toddlers. This live performance piece inspired by anecdotes of everyday life in their flat in Lengkok Bahru. It draws on the twins’ natural comedic disposition and bountiful energy, exploring a young Malay family’s home filled with a sense of humour, grounded by the strength of faith and their parents’ love. Decked out in their Sunday best, they invite the audience to sit with them and wonder about the future. 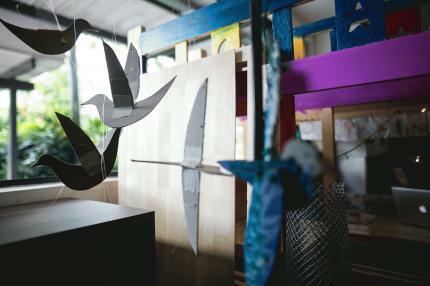 Inspired by the theme of freedom in their artwork, artists Lee Wan Xiang and Benjamin Loh, 9, will share their process and work with participants to create their own hanging bird mobiles. Art materials are provided. In this photography workshop, participants will learn basic principles of photography and create a collage from images shot around the museum. Art Materials are provided. This drama workshop kicks off with a live performance by Superhero Me’s twins – Afeeq and Azeeq. Participants will have fun with theatre exercises designed to help them focus, build confidence and work on a piece together!